Some rhyme, romance and a wee bit reason maybe, bear with me ? Little pebbles along my beautiful shore. Only to recede and have them asking for more. Two pebbles that stood motionless to every wave in sight. I whispered quietly in their ear…What is it that holds you to your ground ? When all the other pebbles seem to move in fear? The pebbles shone like jewels on the shore. Of two pairs of footprints that are here no more. Where are these footprints that have been lost from your sight ? Of a love that was new, bold, and had just taken flight. As my ravenous waves too hungered for their love that night. Tags: death, love, memories, nature, ocean | Permalink. Yet, for my thoughts they will never suffice. And memories that still take me by surprise. There is beauty in the joy of love. The bliss of knowing no guilt or shame. It is in my silence, when I call out thy name. Tags: love, memories, silence, thoughts | Permalink. 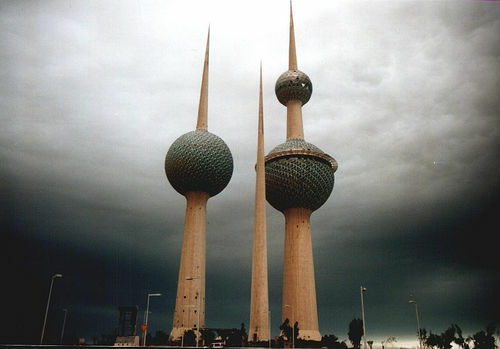 The first Gulf War hit Kuwait on August 2nd 1990. A lot of people lost a lot of precious things. My then thirteen year old brother lost the innocence of his childhood. This poem is dedicated to him and to others like him with stories that didn’t make the news headlines but remained etched in their souls for the rest of their lives. When my friends and I would ride our bikes as far as the eyes could see. To not chomp down our meals during the Holy Month, just made common sense. Every memory of my childhood seemed lost and forlorn. Was there a moment in time when I realized, this void would never fill? Tags: Children, desert, innocence, memories, war | Permalink.